At the bottom of my garden flows a lonely stream. Growing up in Kloof, not far from the Msinsi Community Conservation Area, my sister and I, and our friends from next door, loved playing at the bottom our garden near a seasonal stream. The stream supported a wetland with flourishing arum lilies, and a riparian forest including fig and umdoni trees. We used to inspect the inside of the lily flowers for tree frogs, send little leaf rafts on races downstream, experiment with stream flow by building beaver-like dams, cross over to ‘the other side’, and follow it through an eerie bamboo forest, where we encountered goshawks and the remains of their prey. We once even attempted to boogie board downstream when the water levels were very high. Years later, the neighbouring property underwent residential development. A channel was dug, the stream was diverted, and fenced in on both sides. We were fenced out along with the arum lilies which, no longer receiving water, died shortly after. What does this nostalgic account of a once adventure-providing, now lonely stream have to offer? It personalizes what is occurring on a much larger scale across Africa, and indeed across the world. Rivers have occupied our imaginations since the emergence of civilisation. They are the life-giving veins of the earth, dynamic, and mysterious. They have brought people together, driving societal establishment – this most famously captured by the history of the Nile. We have searched for their origins, and journeyed along them for trade. They have been celebrated in art and music. Friedrich Smetana’s most famous composition – Die Moldau – depicts a river’s journey, celebrating the diverse human scenes along its course. Rivers at once form natural boundaries, and are defiant of human-imposed boundaries. They link forests and cities, countries, people. They capture and provide for a diversity of human beliefs, experiences, and needs. In this new era of global development and resource pressure, however, rivers are becoming increasingly contested, and I would argue, increasingly lonely – lonely, not foremost in the physical sense of being fenced in or out, but lonely in the meaning we ascribe to them. In the case of the stream at the bottom of my garden, one view of it came to dominate at the end of a period of contestation. The developer saw the stream as a structural problem to be solved mechanically and finally. My rich childhood experience of it featured nowhere in the final decision. This has had permanent implications for the health of the stream, the wildlife it supported, its aesthetic integrity, and the recreational and imaginative health of its neighbours. In the same way, on a larger scale, in a regional river basin, pastoralists might view a river as the source of their wealth and traditions, sustaining their cattle and culture. Conservationists might view it as fundamental for ecological viability and for the wildlife tourism economy. Urban users might not even think about the river, as long as there is clean water in their taps. Urban development proponents might view the river as means to expand urban water supply, and a mega dam ends up being the chosen course of development. 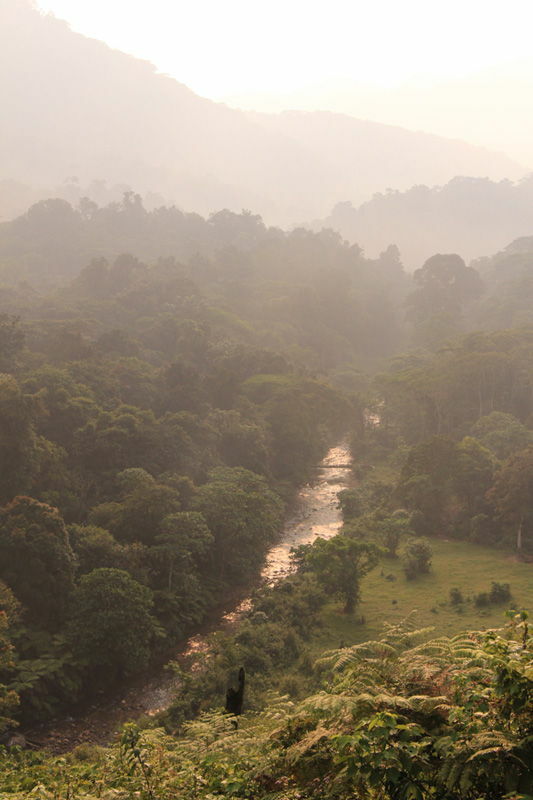 There is a combination of two factors in both scenarios – multiple viewpoints, and a viewpoint that ‘matters.’ We are developing disconnected, diffuse understandings of rivers, which is leading to increased conflict. At the same time, there are power imbalances which determine which viewpoint prevails. At a time on the African continent when development aspirations are being driven top-down, mega dams for instance are being proposed and developed apace. While it can be argued that tough economic decisions need to be made, and mega dams are needed, many of these developments are short-term in their assumptions, and certainly not nuanced enough in design or delivery. We are failing to share and understand the multiplicity of meaning and services which rivers provide, and are therefore failing to make equitable decisions which secure the long-term health of rivers upon which we all depend. But for every threat, there is an opportunity. The source of solutions is simpler than we think. It rests in rivers’ characteristics as connectors of land and people. To protect river systems, we need to come together and organise ourselves in in new configurations. 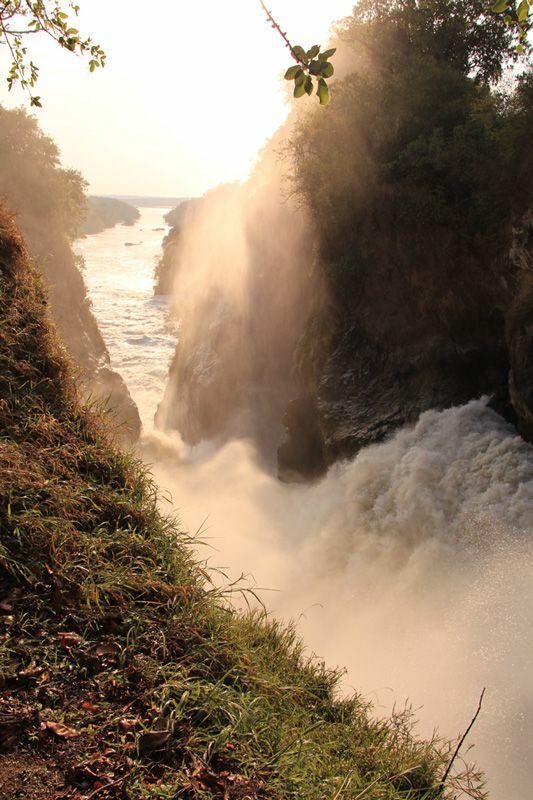 There are many emerging positive initiatives to conserve rivers on the African continent, and almost all can be seen as attempts at sustaining ‘sociable’ rivers – rivers which continue to represent and provide for a diversity of human views, experiences, and needs. The Water Resources Group 2030 (WRG) is global partnership, initiated at the 2008 World Economic Forum, which brings together governments, international financial institutions, nongovernmental organisations, and companies to work towards a water secure future. The Group promotes the sustainable management of water by fostering partnerships, facilitating open discussion, and driving change in water stressed countries. It has set up multi-stakeholder platforms in Kenya, Tanzania and South Africa. 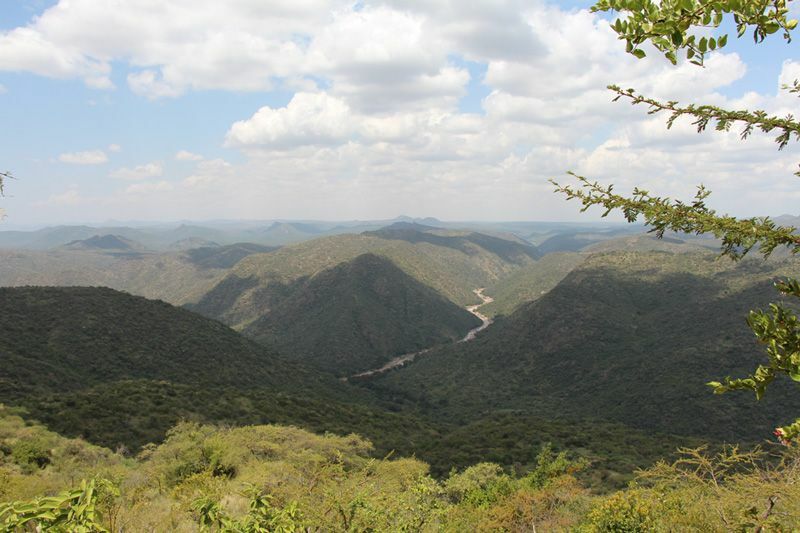 In Kenya, where the gap between water demand and supply is projected to be 30% by 2030, the WRG is supporting a number of initiatives including in the upper catchment of the Ewaso Ng’iro River in the northern Mt Kenya region. The Ewaso Ng’iro River finds its source on the north-western slopes of the iconic Mt Kenya, and flows through arid and semi-arid lands into the Merti Aquifer and Lorian Swamp, after which it passes through Somalia, joining the Jubba River. It encapsulates the kind of contestation over rivers that is occurring the world-over. The river is seeing over-extraction for farming in the upper reaches of the catchment, riparian degradation, increased siltation due to over-grazing and soil erosion, and a mega dam is furthermore proposed to supply water to a “resort city” and urban centres. Downstream river flows and quality have been affected, jeopardising pastoralist livelihoods and wildlife conservation, and leading to conflict between downstream and upstream users. The Mt Kenya-Ewaso Water Partnership is a public-private-civil society platform that has recently been established to enhance dialogue and water conservation in the upper reaches of the catchment. In addition, the Ewaso Ng’iro Basin Stakeholder Forum has been set up to ensure information sharing and a coordinated response from stakeholders to large-scale infrastructural development, such as the mega dam. A physical journey of stakeholders along the river is also planned on a yearly basis to promote dialogue and collaboration between upstream and downstream users. The Ewaso Ng’iro Camel Caravan is a unique example of a river journey initiative, based upon the pastoralist traditions of the indigenous people of the Ewaso Ng’iro Basin Ecosystem. River journey initiatives are becoming a global movement. Examples include the World Water Peace Walks initiated by Rajendra Singh (World Water Prize Laureate 2015) and Michal Kavcik (Goldman Environmental Prize Winner) and scheduled to take place in water-stressed contexts on five continents in five years; KZN’s very own Mayday for Rivers uMngeni Source to Sea Walk; and the recent Aller River walk in which Kloof Conservancy participated. In short, rivers and their basins provide a lens for an integrated approach to maintaining ecosystem and human resilience, and partnership initiatives are creating new impetus for positive change. As we enter dialogue with one another more, become less divided, and less lonely in our viewpoints, so we can make decisions and take action which sustains more sociable rivers –healthy rivers inclined to companionship with multiple users. I leave you with a question. As a resident of Kloof, how can you sustain sociable rivers? 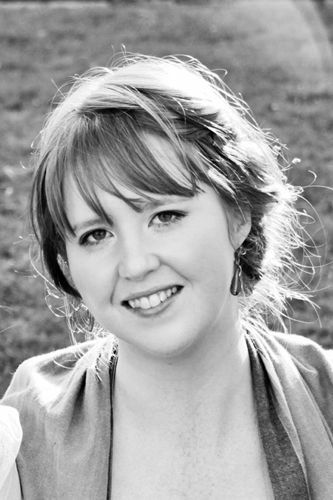 Sarah Chiles is Conservation Strategy and Issues Analyst for the African Wildlife Foundation (AWF), based in Nairobi. She focuses on facilitating conservation strategy development, and on environmental governance issues in selected economic growth corridors in Africa. She currently serves as the secretariat coordinator of the Ewaso Ng’iro Basin Stakeholder Forum, established to facilitate coordinated stakeholder responses to large-scale infrastructure developments proposed for the Ewaso Ng’iro Basin in Kenya. Sarah served as the Vice-chairperson of Kloof Conservancy prior to her taking up a position at the AWF.